Viessmann Manufacturing Co. (U.S.) of Warwick, R.I., is recalling about 306 gas boilers in the U.S and Canada. The boiler can overheat and emit flue gases into the venting system and carbon monoxide can leak throughout the residence, posing a fire and carbon monoxide hazard to consumers. The firm has received 10 reports where the boilers overheated, causing the boilers to shut down. No injuries have been reported. This recall involves the Vitodens 200-W condensing gas boilers used for residential use. These wall hung units are housed in a white metal box that measures about 43.5 inches tall by 19 inches wide by 21 inches deep. There are two models: B2HB-45 and B2HB-57 included in this recall. 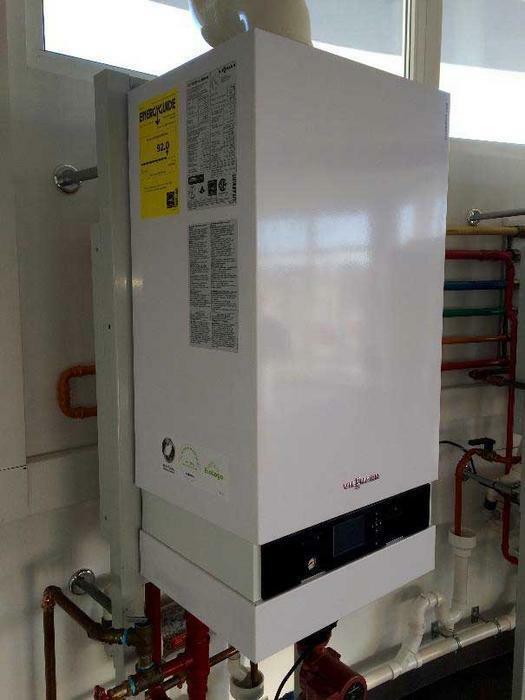 The name “Vitodens” and “Viessmann” are printed on the label on the outside of the boiler box. The product name and model number can be found on the boiler rating plate located on the left side of the white boiler cover. The serial number can be found on a separate label under the boiler cover or on the left hand side of the unit. Recalled boilers do not have a blue dot with a handwritten data label on it. * Serial number range within bold number range are the only units included in the recall. The boilers, manufactured in Germany, were sold at heating and plumbing contractors or wholesalers to consumers nationwide from September 2015, through December 2015, for about $4,800 and $5,800. Consumers with recalled boilers should immediately contact the installer or distributor to schedule a free boiler safety inspection and repair. Consumers who continue using the boilers while awaiting repair, should have working smoke and carbon alarms throughout their homes. Consumers may contact Viessmann toll-free at 800-288-0667 from 8:30 a.m. to 5 p.m. (ET) Monday through Friday or online at www.viessmann-us.com and click on the “Important Safety Notice” located in the middle of the homepage for more information.